Favorite Adoption Story: My favorite adoption story is that of Shabana Sparks who was adopted from India in the 1980s through our MO office. I came across her story a few years ago and have been inspired by her adoption story ever since. Her passion for adoption and her humble attitude towards God’s careful working of every detail in her story is so moving to me. I was thrilled to have recently had the opportunity of meeting her! Seeing her now, as an adult adoptee, I’ve been inspired to adopt internationally someday. What an awesome opportunity to share your love with a child, and in turn give them an opportunity to know Christ’s love! How exciting it will be to see them using their gifts and talents to further Christ’s kingdom because you were able to give them opportunities that they might have never had. 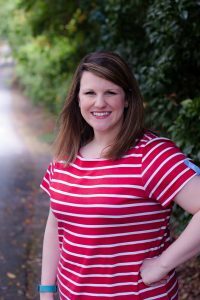 Responsibilities: Kristen has been with Nightlight since 2014 and is responsible for reaching out to families who contact us looking for information regarding their adoption options. She spends time listening to families’ dreams and desires about adoption, answers their initial questions and gives them guidance as to what program may be the best fit to meet their family’s adoption needs. She also manages our agency’s social media pages to promote Nightlight’s services and to advocate for waiting families and waiting children. Kristen has been with Nightlight since 2014 as our Inquiry Specialist. She now acts as our Social Media Manager and is responsible for all our social media platforms, promoting Nightlight’s services, advocating for waiting families and waiting children, and also providing helpful resources to parents as they navigate their adoption journey and seek to meet the needs of their foster and adopted children.